Posted November 18, 2015 by Josette Farrell in News. Several photographs have already been submitted for the Gala Heritage Night in Lackagh National School which will be held on Monday 23rd November. People are asked to bring along old photographs or memorabilia from the area or connected with the school which will be compiled and produced in a multi-media format on the night. Interviews may also be carried out with people who have a story to tell on their days at national school or connected to the area. Photo via Lackagh NS History Project on Facebook. This type of project, hugely successful in many areas throughout the country, has proven to be a wonderful way of retaining the heritage of the area and the project for this area is entitled Lackagh Beo. The project is being coordinated by Lackagh National School who are also gathering information on the history of Lackagh School for the 50th anniversary of the present school and the 130th anniversary of the previous school in the area. 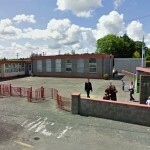 Meanwhile a final call is being made for families to submit photographs of children that were taken in Lackagh School at any time, especially in the last millennium. Some class photos have been forwarded to the committee and a small number of individual photos by families. The photos will be scanned and returned immediately. The wonderful history of the education within Lackagh schools is being put together by a committee whose aim is to compile a book of stories and photos from many of the past pupils who attended Lackagh school. 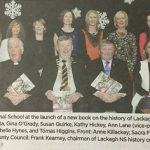 Former past pupils Frank Kearney and Angela Quirke Fahy area spearheading the project and it is envisaged to launch the history of Lackagh School on the weekend of June 3rd and 4th 2016. All past pupils are invited to send in their stories and old photos. Contact Michael Lydon on 091 797474 or Frank Kearney on 085 1266133 or email kearneylackagh@gmail.com if you wish to contact the organisers.